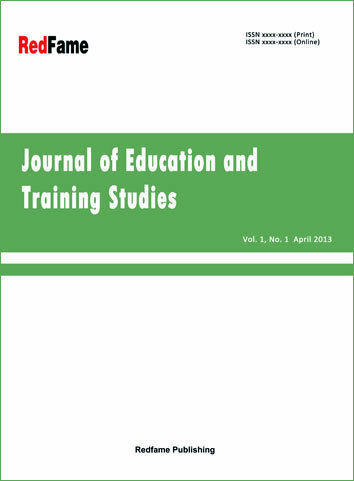 Abstract: This paper reports on a professional development activity (PD) for course leaders, which was designed within the European project Primas (2010-13, www.primas-project.eu). Primas aimed at the implementation of inquiry-based learning (IBL) in day-to-day teaching on a large scale. The focus is on the education of mathematics course leaders in Germany, who were all teachers. In order to support them in taking up their role and run courses on (IBL), a course leader seminar following design research was developed. The course aimed at course leaders’ learning on two levels: (1) as mathematics teachers about IBL and (2) as course leaders about running PD on IBL. A small scale retrospective interview study gives insights into the needs the participants face when learning about IBL as teachers and when learning as future course leaders. It also illuminates in which way participants took up their role as a course leader. These insights suggest how to optimize the course following design research. Abstract: Anxiety is one of the critical medical conditions that affect individuals due to various reasons. Some of these reasons may be related to inheritance while others are acquired during major life events. In this investigation, the level of unemployment anxiety was evaluated for students at Firat University, Elazığ, Turkey. The study population comprised of 1161 students. The sampling of investigation consisted of 30% of the population (333) students randomly selected from both genders. Spielberger State -Trait Anxiety Inventory (STAI) has been utilized for evaluating both state and unemployment anxiety levels. Furthermore, for analysing the results, SPSS 22.0 was applied. The null hypothesis in this research was considered as (p < .05) where any lower significance was considered as evidence proofing the existence of a relationship. The results revealed that there were significant relationships between the state anxiety and gender (for both male and female), age ranges (16-18) and (19-21), first and second educational years, job priorities (having a status and being a human useful for society), work experience, and for the hope of finding a job. On the other hand, significant relationships were found between the trait anxiety and both male and female students, age ranges (19-21), (22-25) and (26-28), study level, job priorities (earning money and being a human useful for society), work experience and the hope of finding a job. Abstract: In most countries, wearing uniform in the university level is a rare practice. Interestingly, Thailand is one of a very few countries requiring the undergraduate students to wear the student uniform to attend class on daily basis. The university uniform has been seen to represent the ideas of politeness, honor, unity, and uniqueness of Thai culture. Hence, the practice of wearing the uniform is anchored on Thainess, the core of which is founded on kingship, religion, and nation creating a sense of shared identity among the Thai people. This research investigated (1) students’ experiences of wearing the uniform concerning power relation among Thai university students inside and outside their universities, and (2) students’ experiences regarding their personal development and how the university dress code affects them. This is the qualitative study of which theoretical frameworks are grounded on concepts of habitus and cultural representation by Pierre Bourdieu and Stuart Hall. As the study focuses on students’ experiences, the phenomenological approach was applied. A total of eight interviews were carried out with students in Kasetsart University (Kamphaeng Saen Campus) and Nakorn Pathom Rajabhat University by purposive sampling. Data analysis was conducted with thematic content analysis. The research findings reveal experiences of the strict dress code indicating that the uniform engages with symbolic communication and hierarchical empowerment. Wearing the uniform keeps up the illusion of uniformity while exerting suppression of individuality. Further the strict dress code creates problematic gender issues but does not promote students’ life goals. Abstract: The paper aims to present the adaptation study of “The Mathematics and Technology Attitudes Scale (MTAS)” into Turkish. The original form MTAS was developed by Pierce, Stacey and Barkatsas (2007) in order to investigate the effect of five different variables in learning mathematics with technology. The original form of the attitudes scale consists of 20 items that are rated on a Likert-type 5-point scale. The MTAS also comprises five factorial dimensions in order to measure five different variables. The data were gathered from 1990 middle school students in order to show validity and reliability of MTAS. The analyses are completed in two phases. In the first stem EFA and CFA was conducted. Then the reliability coefficients were calculated. According to the findings of applied analyses, it was found that Turkish form of MTAS, that has completely similar factor structure to original form, is a reliable and valid scale for assesment of middle school students’ attitude towards learning mathematics with technology. Abstract: The purpose of the study was to examine the acute effects of open and closed skill warmings on change of direction and reactive speed performance.113 high school students participated in the study voluntarily. The students were divided into three groups as general warming (GW), open skill warming (OSW) and closed skill warming (CSW). Reactive speed and change of direction test was performed after the general warming (GW), open skill warming (OSW), and closed skill warming (CSW) protocols were applied in our study. In this study, general warming protocol was designed as control application and other warming protocols were designed as experimental application.In terms of the change of direction performance, with general warming the difference between OSW (p> 0.01) and CSW (p> 0.01) was found significant. However, the difference between closed skill warming and open skill warming was not significant. The difference between general warming and open skill warming (p <0.01) was found to be significant in terms of the reactive speed. However, the difference between closed skill warming (p> 0,097) and open skill warming (p> 0.0212) was not significant.In our study, in which we examined the acute effects of on and off skill warmings on different speeds and reactive speeds of different warm-up protocols, it is thought that if warming includes open and closed skills, both change of direction performance and reactive speed performance can be increased. Abstract: In this study, it is aimed to review the effects of 8 week plyometric exercises on certain physiological parameters and freestyle swimming performance of swimmers of age 10-11 who practice swimming with a licence in city of Van. Study group has been created by 24 male volunteer swimmers who practice swimming with a licence in city of Van. 24 volunteer athletes aged 10-11, who are licenced swimmers for two years and who exercise regularly 5 days a week have been selected for the study. The athletes are randomly divided into experimental and control groups of 12. Throughout the study, in addition to swimming exercises, experimental group is scheduled to 3 days a week plyometric exercise program. Control group is not given any additional exercise except from the swimming exercises. It is seen that the obtained data does not show normal distribution and non-parametric tests of Mann Whitney U and Wilcoxon Test are used for data analysis. Significance level is taken as p<0,05. As per obtained data, pretest and post test data of male swimmers of experimental group show that horizontal and vertical leaps, anaerobic power, 30m sprint, hand grip right and left, 25 and 50 m freestyle swimming parameters showed statistical significant difference; whereas for control group, weight, height, body mass index, anaerobic power and right and left hand grip force parameters showed statistical significant difference (p<0,05). When the pretest and posttests of experimental and control groups are compared, only vertical leap parameter showed significant difference in favor of the experimental group (p<0,05) and for the other parameters, no statistical significant difference is seen (p>0,05). As a result, it is seen that the 8 week plyometric exercise has a significant effect on vertical leap and even though not statistically significant, it is pondered that it has a positive effect on freestyle swimming duration of experimental group, compared to that of control group. Abstract: Item discrimination index, which indicates the ability of the item to distinguish whether or not the individuals have acquired the qualities that are evaluated, is basically a validity measure and it is estimated by examining the fit between item score and the test score. Based on the definition of item discrimination index, classroom observation scores were used in this study instead of test scores as the indication of having the tested quality.In the framework of the study, a 25-item multiple-choice test prepared in the context of 8th grade Mathematics Unit "Multipliers and Multiples" was administered to a total of 109 8th graders (44 females, 65 males) studying in 4 separate classrooms of Ömer Nasuhi Bilmen Secondary School in Şanlıurfa Province. Furthermore, these students’ Mathematics teachers were asked to observe and score students during the unit and the obtained observation scores were used as external criterion in estimating the discrimination index. By using this criterion, fit values estimated with the help of upper and lower groups consisting of 27% from the extremes of the criterion score distribution and biserial correlation were compared with the traditional conditions where test scores were utilized. It was found that item discrimination indices based on classroom observations were higher than those based on test scores in both of the discrimination indices estimated via upper-lower 27% groups and biserial correlation. This finding was discussed to be related to the fact that while classroom observation scores were an external validity criterion, test scores were composed of items whose discrimination values were calculated. The finding also demonstrated that classroom observation scores were more rigid and eliminative than test scores in terms of discrimination.